The Leica Geovid 10x42 HD-R 2700 Binocular Rangefinders are uniquely designed optics with cutting edge rangefinding technology that gives you a huge advantage in any field application. EHR (Equivalent Horizontal Distance) measurements compensate for the incline/decline between you and your target. In practice, this number is much more important than your target's actual distance. The HD-R 2700 models have outstanding accuracy up to 2700yds resulting in extremely far reach. 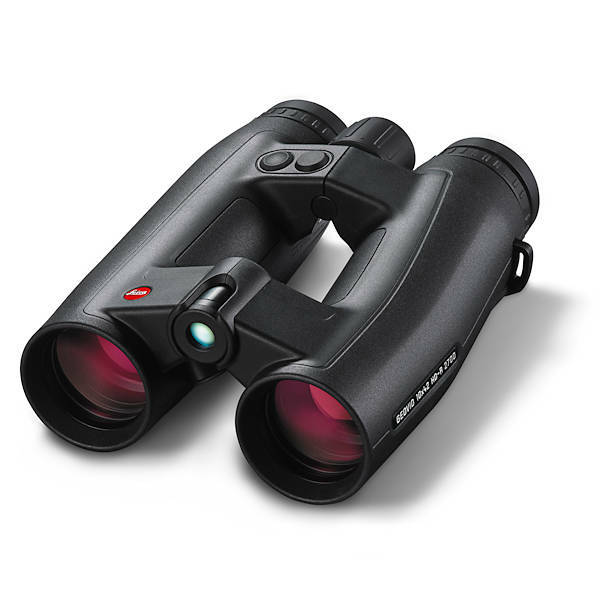 To ensure the binocular's view is up to par with its rangefinding ability, Leica uses their patented Perger Porro prism that brings all advantages of a traditional porro prism binocular to the table while leaving the disadvantages behind. All porro prisms have a small number of reflections (compared to a roof prism) yields extremely low light loss within the prism, but the Perger Porro prism accomplishes it without the traditional bulky design. The Geovid HD-R's HDC multi-layer lens coating also boosts light transmission and color fidelity while eliminating chromatic aberration. Not only is this Geovid completely weatherproof, but its lens surfaces feature the AquaDura coating to wick moisture and keep your view crystal clear. Few binocular rangefinders combine expert-level rangefinding with such a magnificent view!